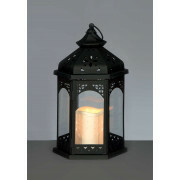 A striking black lantern, this will look great in any room. 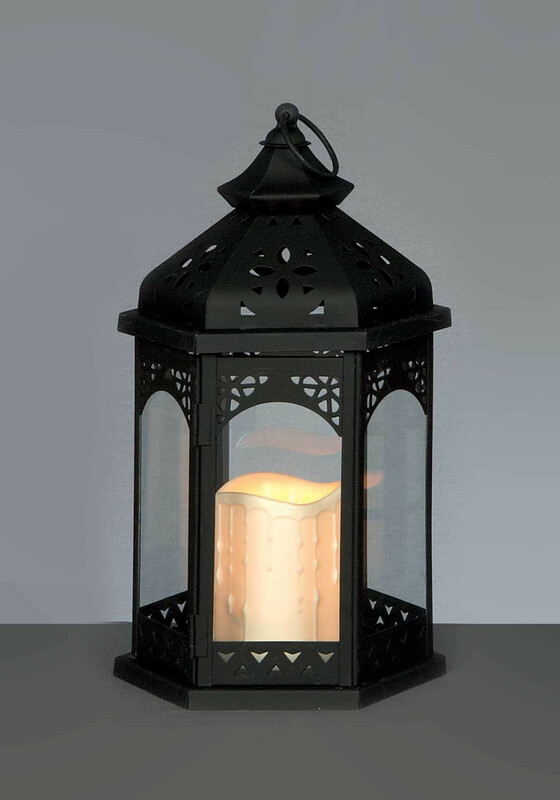 In the window, beside the fireplace, or in the hall, this lovely pre lit lantern features a battery operated candle, with a realistic looking flickering flame. The effect of a real candle, with the safety of batteries.